Xpress.Cardiac™ - Cutting Scan Times in Half. Xpress.Cardiac™ utilizes UltraSPECT®’s Wide Beam Reconstruction (WBR™) technology to cut cardiac imaging acquisition times in half without compromising image quality. Xpress.Cardiac™ will complete a gated stress myocardial perfusion study in as little as six minutes and a rest SPECT acquisition study in less than eight minutes. 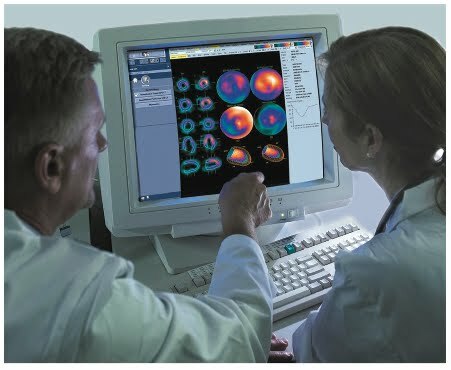 Xpress.Cardiac readily connects to most cameras and workstations. Robust, reliable and fully automatic, with a single processing protocol for all patients, it is virtually transparent to clinical work-flow. For more information on Xpress.Cardiac™ in Canada, please contact ADN Canada. With over ten years in business in Canada and over twenty PACS sites installed, Alliance Distribution Network (ADN) distributes KLAS Award winning Thinking Systems PACS and RIS solutions across Canada, as well as both Digirad, Medi-Link, Esaote, and UltraSPECT. For additional information please contact ADN directly. Alternatively, please feel free to join the discussion on our new Facebook Page.